Today’s education will focus on some price action trading rules. The most important thing in any type of trading is to have a solid set of rules and then to have the self control to follow those rules. Forex traders has a job to look for low risk and high reward price levels to short at. As we know price action is a basics trading concept of trading forex. 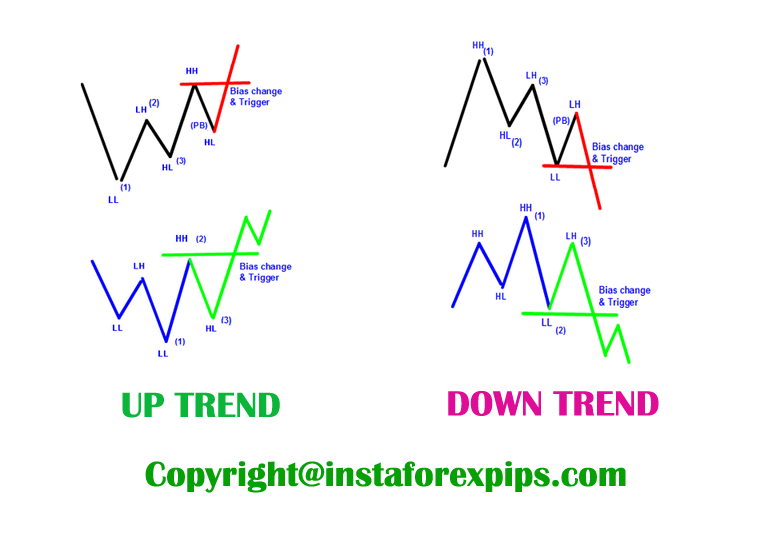 With price action we can identify trend are begin and changing. Especially if we used daily charts in our first variable analysis. 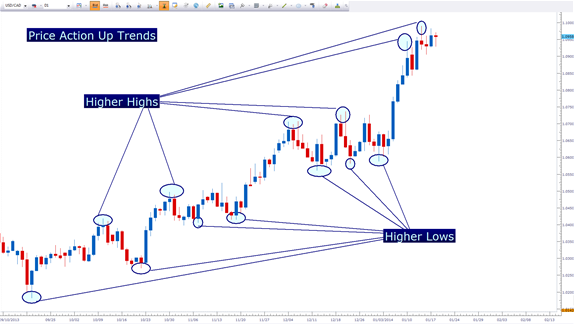 The basics rules of forex price action strategies to determine the market’s trend is just simple. The key are if there’s a first higher low then price breakout previous lower high and making first higher high so trend up setups it’s just happened and if there’s a first lower high then price breakout previous higher low and making first lower low so it means trend down it’s just happened. 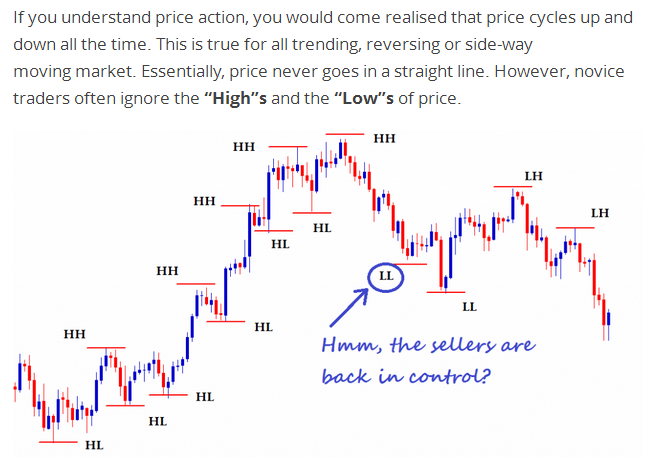 As seen some pictures of basics rules of price action trading strategy, then we need some filter time frame to get the accurate data to reading the current major trend that running or even sideways. Use daily chart as our main variable of trading recommendation based to read the current trend then after we know the up trend or down trend that remain, then we looking the best signals based bearish or bullish reversal candlestick patterns confirmation in one hour or four hour even better. 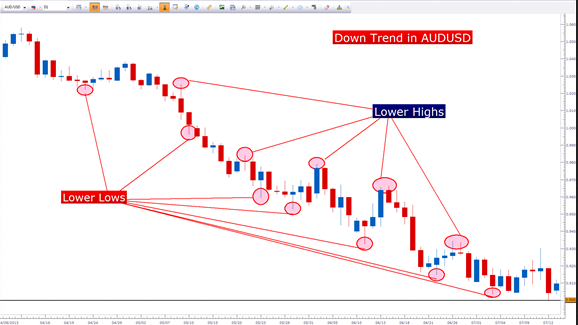 Example trading scenario : if daily is uptrend , then we looking only bullish reversal candlestick patterns in one hour or four hour time frame as our entry trading signals which usually those bullish reversal candlestick patterns appear in higher low and if daily is down trend, then we only looking bearish reversal candlestick patterns confirmation in H1 or H4 charts as our short entry trading signals and those of bearish reversal candlestick patterns appear in lower high. Combined with fibonacci extensions levels to measure the strength of the trend. With this price action strategy as described above, i think trading forex will more comfortable as long we patient to wait for the signals confirmation based from current trend of daily chart, because the best forex trading strategy is trend following. The strength of this trading opportunities are very accurate. 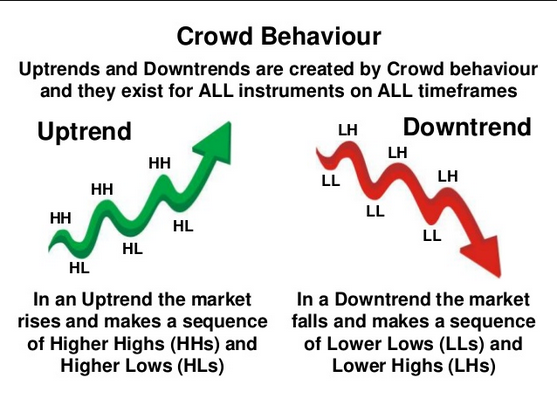 So, the main basics of price action strategy is waiting the price in making a new wave that indicate from break previous lower high for the up trend and break previous higher low for the down trend. 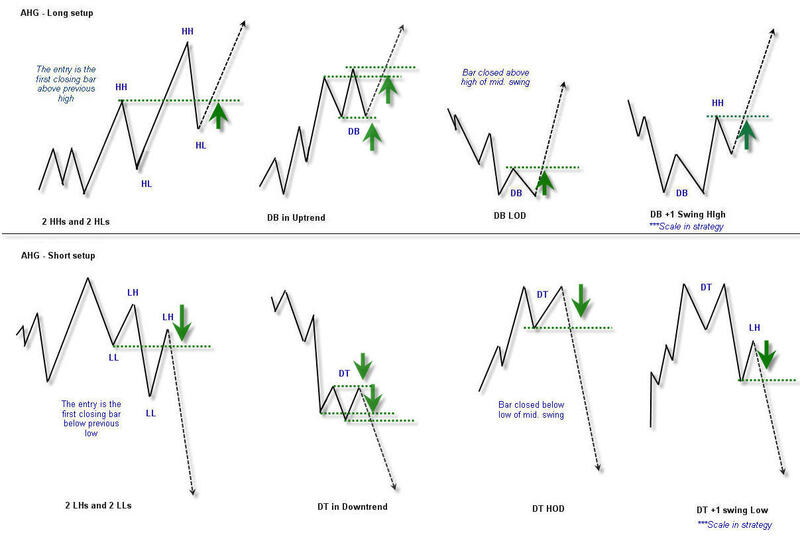 And remember always using candlestick basics as our trading confirmation to get the accurate trading signals. Economics indicator from forex factory, market watch or bloomberg or any others kind of economics news providers only for minor factor of the power trend strength but not as a primary parameters in using this price action strategies. With this price action don’t get affected by any lagging forex indicators anymore. With only by reading forex candlestick patterns we can know who’s the winner of the seller and buyer battles. Because market psychology are reflected by two variable. First is bullish candlestick represent as a buyers and the second are bearish candlestick represent as a sellers. 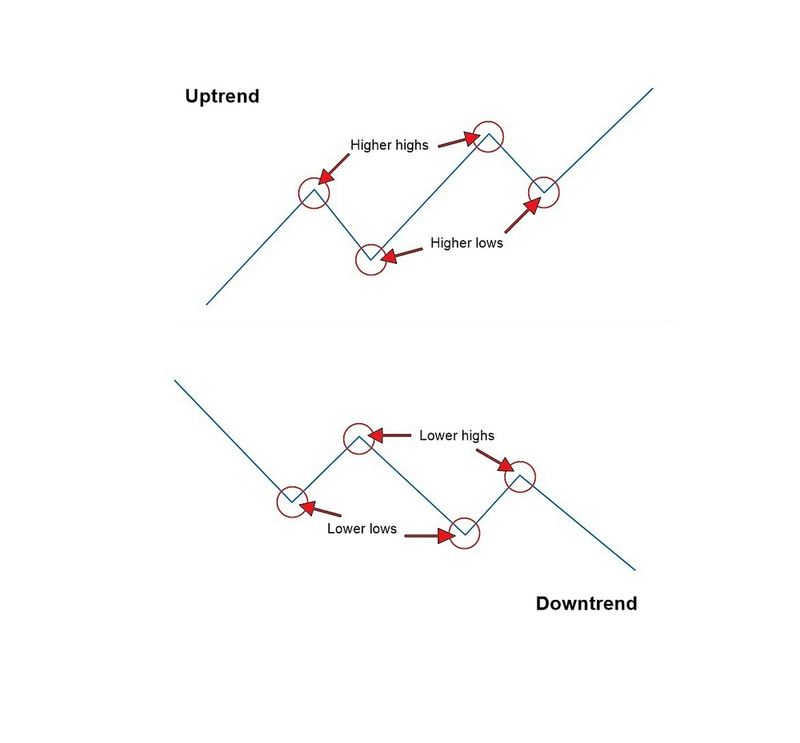 After reading simple method of trading forex with price action strategy, we’ve hope we can more flexible in reading what current trend are goes so then we can looking trend following trading signals in higher low in uptrend or lower high in down trend which combined with candlestick confirmation as our strong support resistance levels. And in trading forex never forget about trading in good forex brokers right ?, then here several our recommended forex brokers list in the box below that suitable using this simple price action trading strategy, even for scalpers or swing traders.